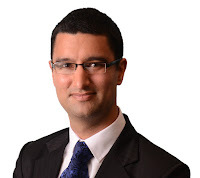 On his path to completing the Graduate Diploma of Applied Tax Law, Ankit Sharma, CTA, found a passion for the Corporate Tax subject above other post-graduate providers. The Corporate Tax subject caught his eye for its wide variety of topics which would allow him to broaden his horizons and gain a better understanding of areas of taxation that may impact his clients. Looking back it was a good consolidation of previous knowledge and experience in a formal framework. Ankit Sharma, CTA, started out as a cadet with Pitcher Partners (Sydney) about 8 years ago and has been working in the private clients’ space since then. His enjoyment has mainly come from the mix of high net worth individuals and small to medium businesses with not only their compliance needs but increasingly advisory matters where he has the opportunity to add additional value. The Corporate Tax subject provided a great detailed look into various aspects that affect the corporate tax space. He was able to better understand the complex and varied issues that arise out of various transactions. The subject was broad ranging and completing this course allows him to be a better adviser and apply this knowledge directly to his clients. He has so far identified one specific opportunity to improve a client’s taxation position as a result of completing the subject. Take the next step in your tax career with the Graduate Diploma of Applied Tax Law.